To celebrate my 45th Birthday in January, I will be sharing at least 1 photo from every year of my life for the 45 days leading up to my birthday. I had so much fun doing this 5 years ago for the big 40 (#FabulousFortyFotos), so I decided to do it again and HOPEfully get others to share in the fun (see the end of the blog for details)! In order to do a project like this, you need to have organized photos so that you can find a picture from 1992 when you want it. Chronologically works if your photos are already kind of organized that way either by albums or still in the envelopes from when they were developed. If your photos are totally mixed up, however, it is really easier to do it by person or theme. The fact is that if I do organize a client’s photos by theme or person, I typically do a rough chronological sort within those themes. It’s pretty easy to determine if a Christmas picture was taken in the 1960s vs. the 1980s or if a picture of someone was taken in the 1970s or 2000s. All digital photos have a “date taken” attached in their metadata. Hopefully, all your digital photos have the correct date; they will for sure on your phone! But on a camera, you need to make sure it is correct. For scanned photos, the date becomes the date the photo was scanned. 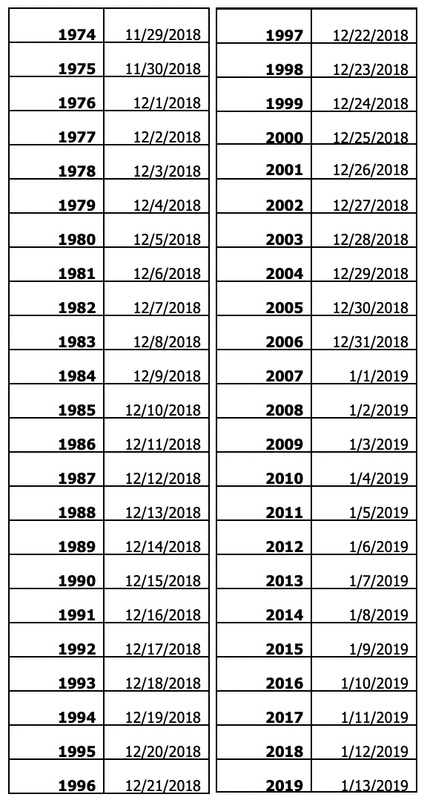 There are so many ways to change these dates (ideas for a future blog! ), but is a good idea to at least change to the correct decade to make the viewing experience much better in several different kinds of software. Many programs like Google Photos or Apple Photos put photos into a timeline. Personally, I find things hard to look at if they are not somewhat in order. I create digital folder for decades, then years, and for certain events folders within the year. Again, this doesn’t have to be perfect, but it will make looking at these photos so much easier in the future. Here’s the Fabulous 45 Fotos Fest! I will be sharing at least 1 photo from each year of my life on social media for the 45 days leading up to my birthday (see schedule below). I will be using #Fabulous45Fotos to track my photos and I would love for you to do the same. Try to find some photos that have been hidden for years and that you haven’t already shared on social media before (only because that makes things more fun for family and friends). You don’t have to stick to my schedule, but it would be cool if you could share some photos from the same decade if possible. 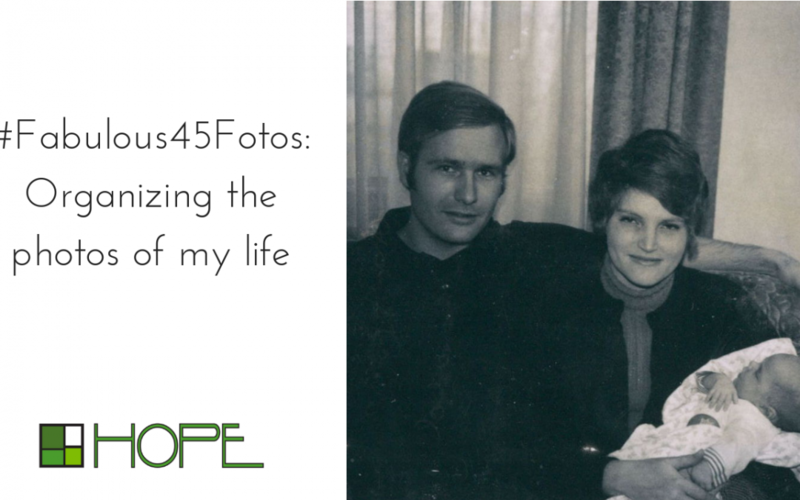 Share your photos on social media using the #Fabulous45Fotos and #HOPEorganizing–there will be some fun prizes (still working on some fun ideas BUT will include scanning and some possible ways to share your photos in fun ways)!